“China Maritime Studies Institute Faculty Brings China’s Maritime Militia Out of the Shadows,” The Beacon: U.S. Naval War College Newsletter 1.3 (August 2017): 14. For analysis of Chinese maritime policy and China Coast Guard development, it simply doesn’t get any better than this. Enjoy this one-stop library of my colleague Ryan Martinson’s work. It’s well worth reading all 19 of these superb publications! If you haven’t yet read this fascinating and revealing analysis, I strongly recommend that you do so immediately! Ryan Martinson and Katsuya Yamamoto, “Three PLAN Officers May Have Just Revealed What China Wants in the South China Sea,” The National Interest, 9 July 2017. Andrew S. Erickson, ed. Annapolis, MD: Naval Institute Press, 2016. $39.95. 357 pp. 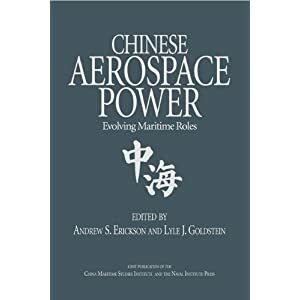 Peter Hore, “China Reaches for Maritime Manifest Destiny,” includes review of Andrew S. Erickson, ed., Chinese Naval Shipbuilding: An Ambitious and Uncertain Course (Annapolis, MD: Naval Institute Press, 2016); Warships: International Fleet Review (April 2017): 47-48. 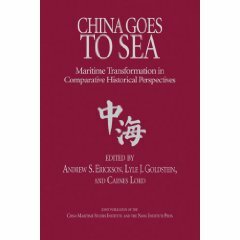 For analysis of Chinese maritime policy and China Coast Guard development, it simply doesn’t get any better than this. Enjoy this one-stop library of my colleague Ryan Martinson’s work, and please congratulate him on his recent promotion to Assistant Professor at the Naval War College! 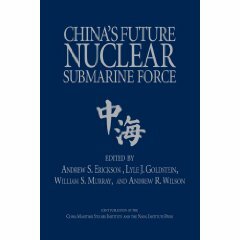 Click here to order Chinese Naval Shipbuilding directly from Naval Institute Press. It will ship immediately from Illinois. Please use Source Code SPRING17 via the form available here to receive 25% OFF list price. Peter A. Dutton, “A Maritime or Continental Order for Southeast Asia and the South China Sea?” Address at Chatham House, London, U.K., 16 February 2016; reprinted in Naval War College Review 69.3 (Summer 2016): 5-13. Gold that requires no panning: a methodological masterpiece from my CMSI colleague Ryan Martinson. 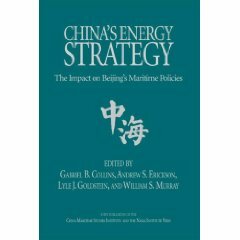 Mandatory reading for all serious students of Chinese maritime strategy and Chinese-language open source scholarship! Ryan D. Martinson, “Panning for Gold: Assessing Chinese Maritime Strategy from Primary Sources,” Naval War College Review 69.3 (Summer 2016): 23-44. CAPT (SC) Harry Switzer, USNR (Ret.) and Andrew S. Erickson, “China Maritime Studies Institute,” The Bridge: The Magazine of the Naval War College Foundation 19 (Fall 2015): 9, 32. In recent years, China’s navy has been launching new ships like dumping dumplings into the broth.” This phrase has circulated widely in Chinese media sources and websites.